Mr. Merrell is a member of the Land Use and Environmental Law, Local Government Law and Administrative Law Sections of The Florida Bar, as well as the Natural Resources, Energy and Environmental Law Sections of the American Bar Association. 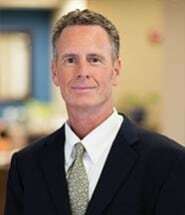 He has been an active member of various local government advisory boards, including the Volusia County Environmental and Natural Resources Advisory Committee (past chairman), the Halifax and Indian River Task Force and the Volusia County Economic Development Strategic Planning Working Group. He is a member of the Surfcoast Chapter of the Florida Planning and Zoning Association, the Daytona Beach/Halifax Area Chamber of Commerce and is a past chairman of the Volusia County Association for Responsible Development. He is a graduate of Leadership Daytona (class of 1989) and a past member of the board of directors of the Red Cross Coast to Coast Chapter. Mr. Merrell is admitted to the United States District Court for the Middle District of Florida and the United States Court of Appeals for the 11th Circuit. He has experience in zoning, environmental permitting, comprehensive planning, variances, subdivisions, code enforcement and Developments of Regional Impact, with a primary focus on representation of land development interests.